Be You! Maintain your independence and stay at home for longer with support through Clayton Church Homes. Our Home Care Coordinator can guide you through the process to receive home support services, either through a subsidised Home Care Package allocated by the Commonwealth Government or by paying out of pocket (“Fee for Service”). We have outlined below a list of steps to help you determine your eligibility for accessing a Government-subsidised Home Care Package under the Australian Government My Aged Care scheme. The first step is to obtain a referral for an Aged Care Assessment Team (ACAT) Assessment. 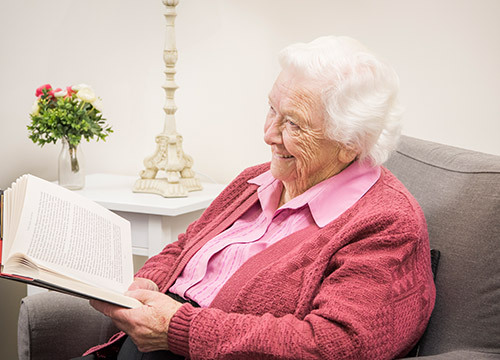 You will need to have your care needs assessed by a member of the Aged Care Assessment Team (ACAT) to determine your eligibility for Government-subsidised home care services. As part of the assessment, an ACAT Assessor will visit you and ask some questions about your health needs and lifestyle. After the ACAT assessment, you will receive a letter advising the outcome of your assessment and outlining your eligibility for government-subsidised care and services, as well as the level of Home Care Package required to meet your needs and your priority for accessing a package. If deemed eligible for a Home Care Package, your name will be added to a waiting list (National Queue) for a package. When your name reaches the top of the queue, you will be allocated a Home Care Package and receive a letter from My Aged Care with a referral code. Present your referral code to Clayton Church Homes as your Home Care Services provider to arrange the package of care. Separate to the above process in receiving a Government-subsidised Home Care Package, Clayton Church Homes can assist you with care and support on a fee for service basis without the need for a doctor’s referral. This may be a good option for you to receive immediate help and support while waiting for your Government-subsidised Home Care Package to be approved.